Since Vanguard utilizes Socialite package for social authentication, it's easy to add any social authentication provider that is supported by Socialite. So, let's proceed and add GitHub authentication driver. After modifying our login page, we can now proceed and create GitHub oAuth application. 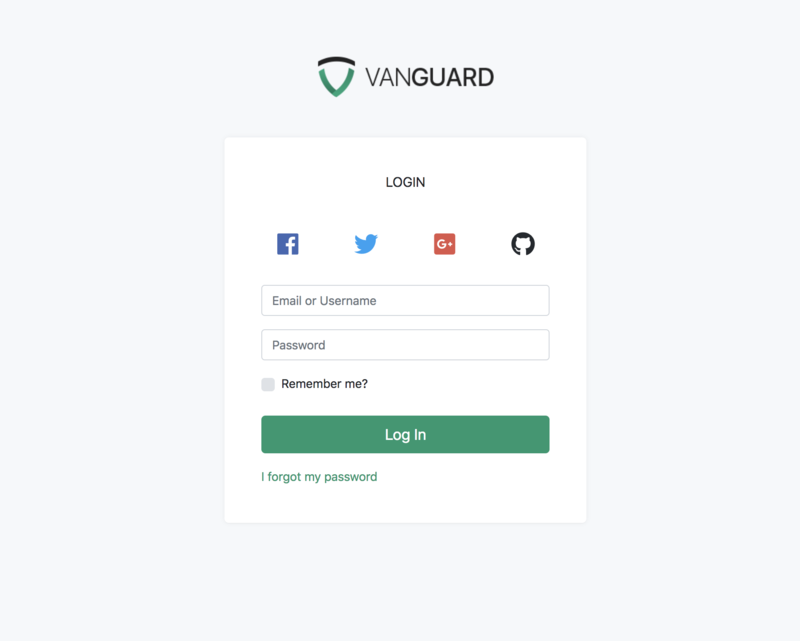 Creating the application is simple, and you need to provide your application name, website URL as well as callback URL which will be used by Vanguard. And that's it, you can now go to the login page, click that GitHub button we have created and log in with your GitHub account.